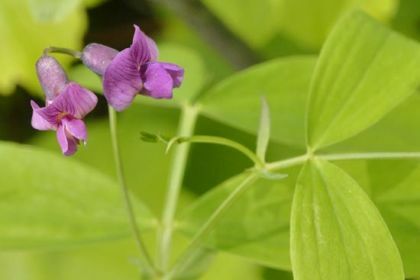 Previously known as Bitter Vetchling and Lathyrus montanus, this hairless, perennial wildflower is commonly found growing on dry, acid soils and heaths in most parts of Ireland, the exception being the centre. Reaching to 50 cm, its stems are markedly winged and it bears its little peaflowers in groups of two to six. 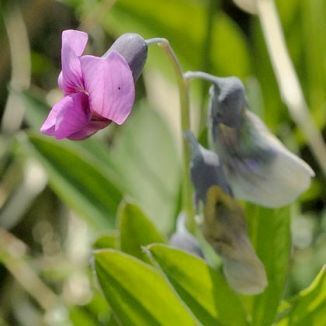 Blooming from April to July, these flowers (10–15 mm) start out a crimson-purple colour but as they age, they fade to a deep blue or green. The lanceolate leaves are in two to four opposite pairs, having no tendrils. This is a native plant and it belongs to the Fabaceae family. I first recorded this plant near Roundwood, Co Wicklow in 1976 and I photographed it near Woodford, Co Galway in 2010.